ROLLING STOCK, FOR LESLIE C.
Etching and aquatint printed in five colors, a fine, fresh impression of the only known state, the full sheet, printed on 300gsm Somerset Satin White, with large margins, signed, dated, titled and numbered in pencil by the artist, pulled in an edition of 60 examples (there were also 12 numbered artist proofs) printed by Harlan & Weaver, New York, published by Creative Works Editions, Osaka, Japan (now defunct) in very fine condition, unframed. To be included in the forthcoming catalogue raisonné of the artists prints, presently being compiled and edited by Donald Taglialatella. 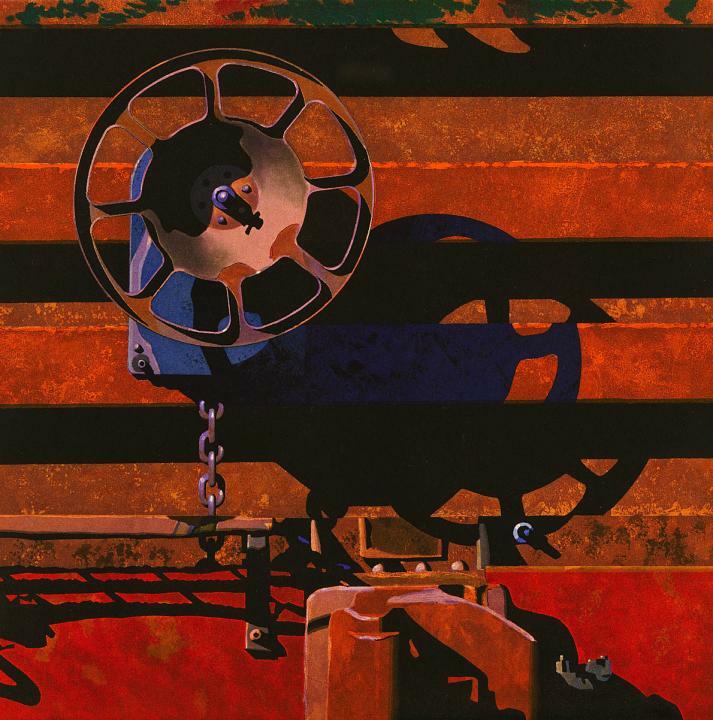 This is one of six works that comprise the "Rolling Stock Portfolio" although the prints were never published with a justification sheet or contained in a portfolio case. The other five works from the portfolio are: ROLLING STOCK, FOR ARMYN; ROLLING STOCK, FOR JESSE; ROLLING STOCK, FOR TRISH; ROLLING STOCK, FOR MARK; ROLLING STOCK, FOR CHUCK.